Kids love popsicles…and who can blame them? There’s nothing better than a sweet, frozen treat after a spending a hot summer afternoon playing outdoors. Last week at my daughter’s end-of-the-school-year party, one of the moms brought in frozen watermelon pops. They were delicious, sweet, and the easiest thing ever to make. My kids LOVE watermelon, so I knew I had to try these. It doesn’t get much easier than that, does it? 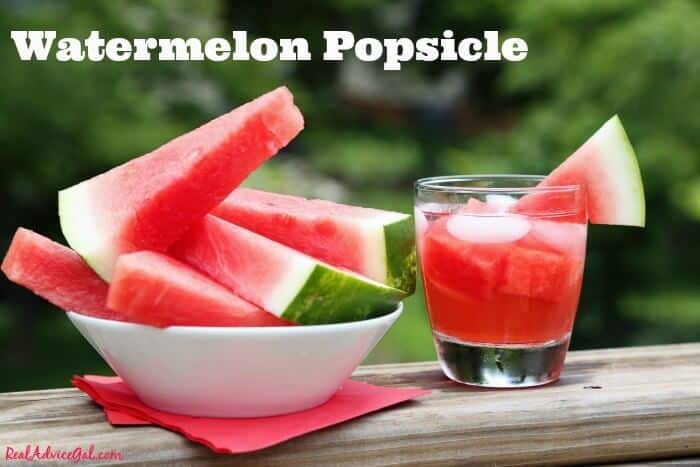 If you leave the rind on the watermelon, it can be used to hold the popsicle. I’ve seen other variations online where the rind is removed and popsicle sticks are stuck into the watermelon slices before freezing. 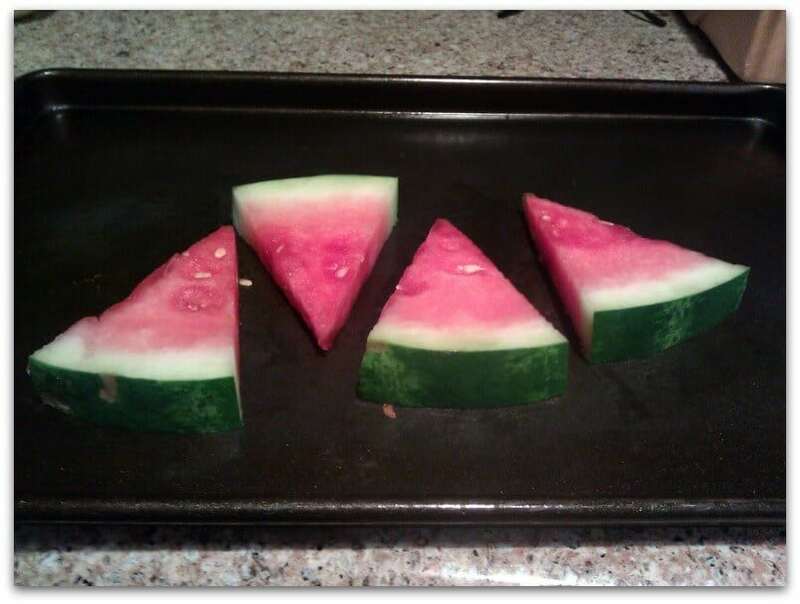 You can even get creative and use cookie cutters to cut your watermelon slices into shapes! Keep them in your freezer for when your kids are looking for a cool treat – or make a big batch and serve them at a summer BBQ or birthday party! Looking some great Dessert Recipes for Kids? Try Cola Cake Featuring Chek Soda and Ice Cream Sandwiches! 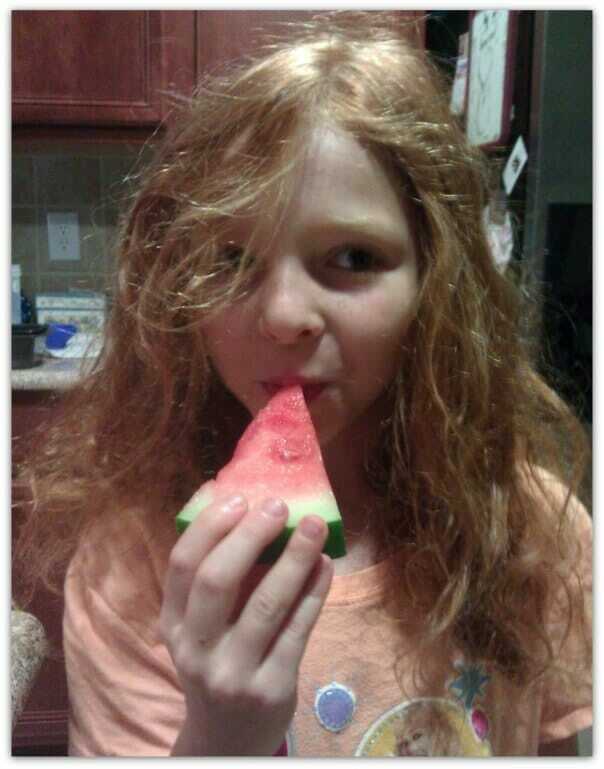 And for more easy and fun recipes for kids, check out our Cooking with Kids page! What are your popsicle recipes for kids? Share them here!